Do you want to get quotes from the nation’s top insurers like Cigna? We at Vista Health Solutions can do that and more. We are a licensed health insurance broker working with leading carriers in all fifty states. We have health insurance options for working individuals, sole-proprietors, families and even those with pre-existing conditions who are having a hard time acquiring coverage. If you want to get Cigna health insurance quotes, or quotes from other affordable health plans, you have come to the right place. Styart your quotes above! Cigna began in 1982 when Connecticut General Life Insurance Company and the Insurance Company of North America (INA) merged. 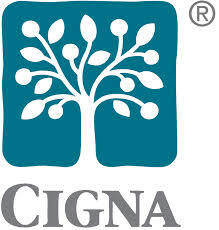 Today Cigna is one of the leading health insurers in the U.S. They are the fourth largest insurer based on enrollment. Cigna is headquartered in Philadelphia, but they also operate in 29 other countries. Cigna health insurance has 66 million enrollees worldwide.Their mission is to help their customers improve their health, well-being, and sense of security. Their products include health care products and services, group disability, life and accident insurance and international insurance coverage. Their mission is to enhance the public’s well-being and better their health all while ensuring them stability. Across the world, they have built 75 million relationships.